Click on one of the following links for today's Daily Prayer. 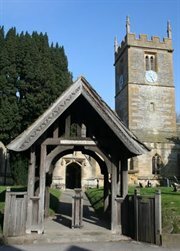 This is the website for St. Andrew's Parish Church in Evesham, Worcestershire. The Parish is on the south side of the River Avon and covers Hampton, Fairfield, Eastwick Park, Charity Crescent and Thistledown. The Parish is in the Asum South Benefice which includes Bengeworth, Hampton with Sedgeberrow and Hinton on the Green. Our priest ministers to those in all four parishes. Mark is supported by Elaine Major and Caryl Mills, the Benefice Administrators, who usually work from 9.15am to 1.15pm in the Asum South Benefice Office attached to the Vicarage. The telephone number is 01386 446381. Email asumsouth.office@hamptonchurch.org.uk. At St Andrew's, we are committed to the safety and well-being of everyone who is in our church community. If you, or someone you know, feels unsafe, you should raise your concerns. We promise to listen carefully and take any necessary action. Find a church while on your travels?